What do the invention of anaesthetics in the middle of the nineteenth century, the Nazis' use of cocaine, and the development of Prozac have in common? The answer is that they're all products of the same logic that defines our contemporary era: 'the age of anaesthesia'. Laurent de Sutter shows how large aspects of our lives are now characterised by the management of our emotions through drugs, ranging from the everyday use of sleeping pills to hard narcotics. Chemistry has become so much a part of us that we can’t even see how much it has changed us. In this era, being a subject doesn't simply mean being subjected to powers that decide our lives: it means that our very emotions have been outsourced to chemical stimulation. Yet we don't understand why the drugs that we take are unable to free us from fatigue and depression, and from the absence of desire that now characterizes our psychopolitical condition. We have forgotten what it means to be excited because our only excitement has become drug-induced. 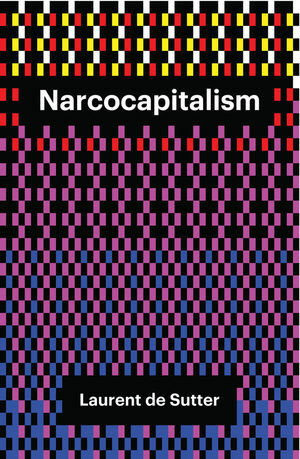 We have to abandon the narcotic stimulation that we’ve come to rely on and find a way back to the collective excitement that is narcocapitalism’s greatest fear. Laurent de Sutter is Professor of Legal Theory at Vrije Universiteit Brussel. "This fascinating book can be read in many ways: as a short history of modern psycho-pharmacology, as a theory of contemporary politics as anaesthesia of the social body, as a philosophical breakthrough on the ontological dimension of depression. It should be on the must-read list of every philosopher, psychoanalyst or social activist interested in experiencing the excitement of a true intellectual adventure."